Frankfurt offers many sightseeing opportunities. 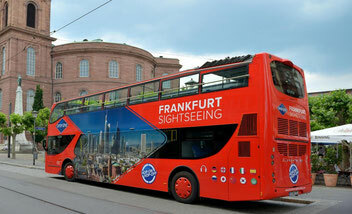 Those who set out on a discovery tour of Frankfurt can easily reach many of the sites on foot or by bus and train. Many attractions are not very far from one another in the city centre, as our virtual city tour shows. And with public transport, you can quickly reach further sights such as the Palm Garden and the Zoo. A city tour with the nostalgic tram, the ‘Ebbelwei Express’ is particularly popular. And culture lovers will find an impressive selection of renowned museums on both banks of the Main. Some of them are as below.